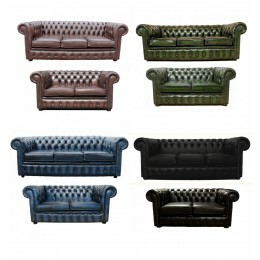 Crafted by expert craftsmen made with high quality genuine leather. 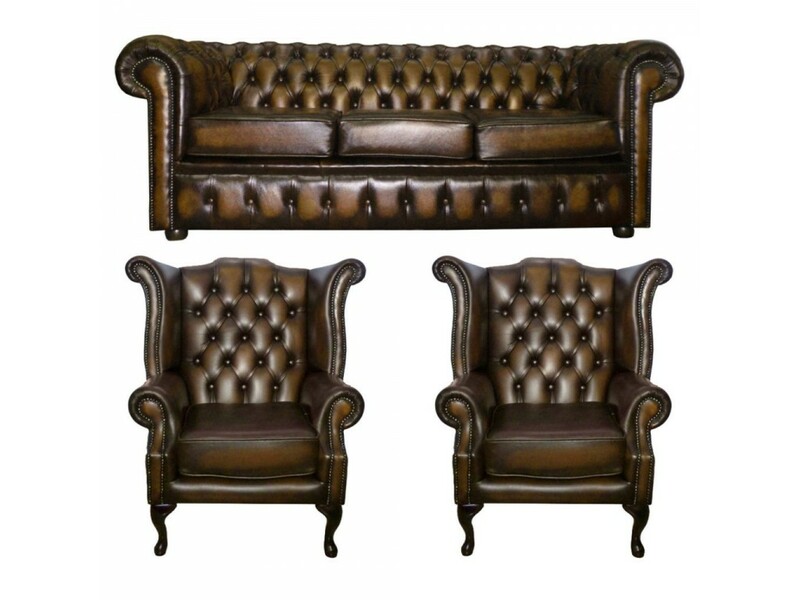 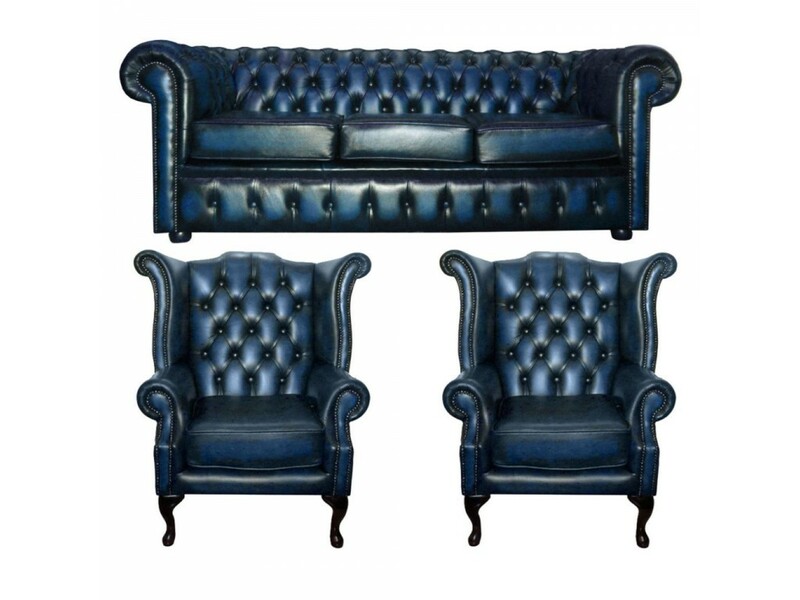 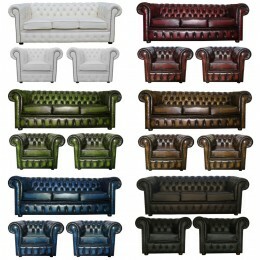 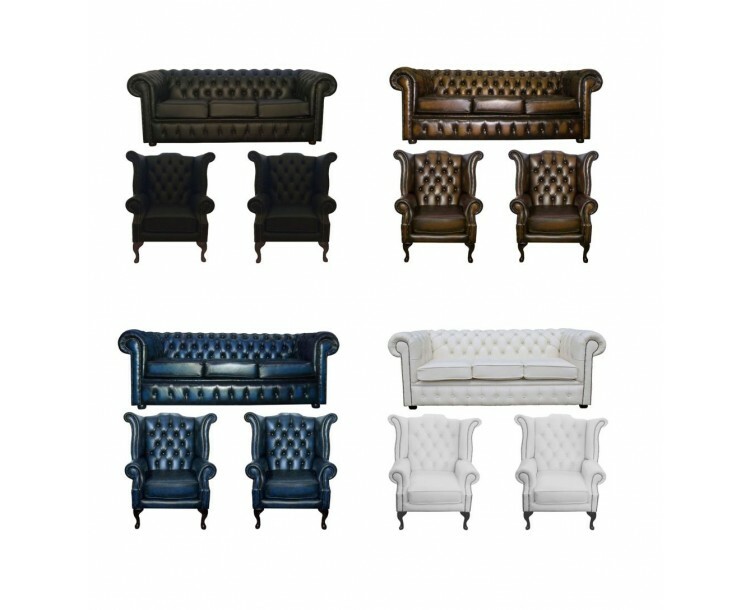 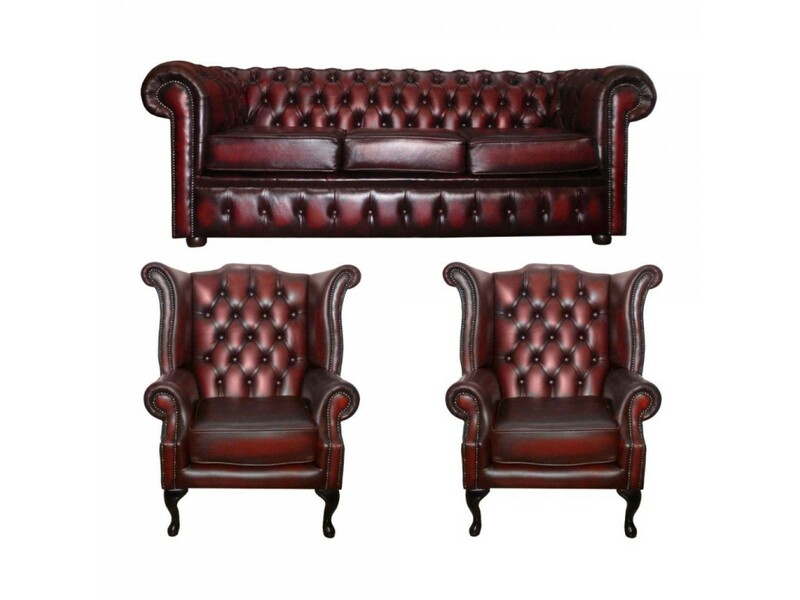 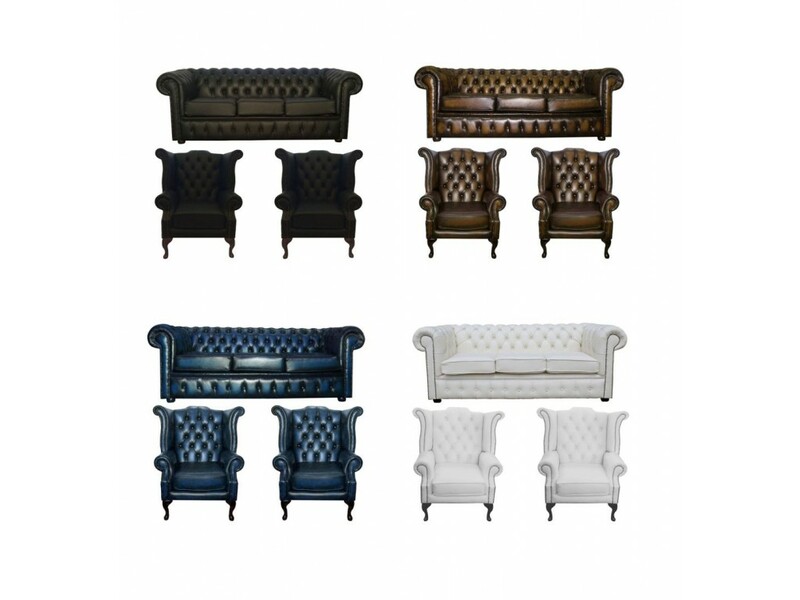 This finest chesterfield suite consists of a 3 seater sofa and 2 Queen Anne armchairs. 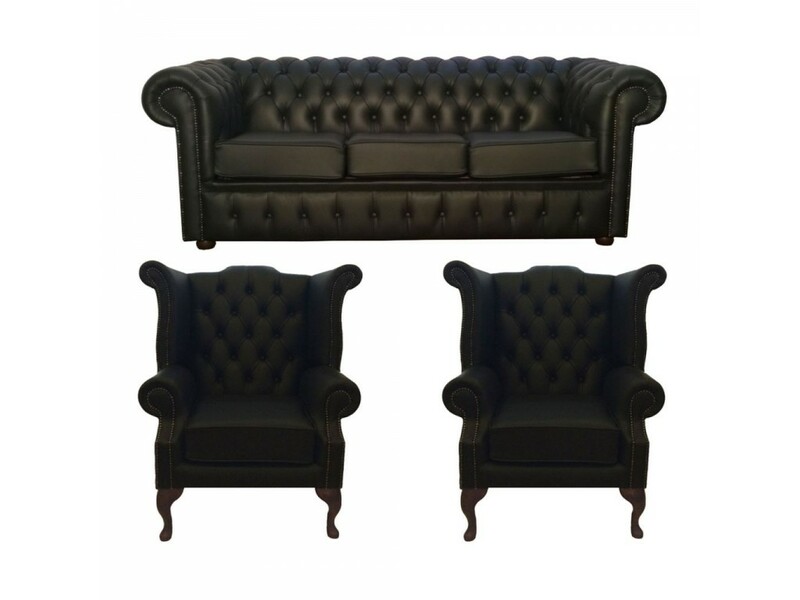 The 3 seater sofa has its ultimate British design its deep seat details, low back style and curved arms added with stud beading finalised with mahogany feet. 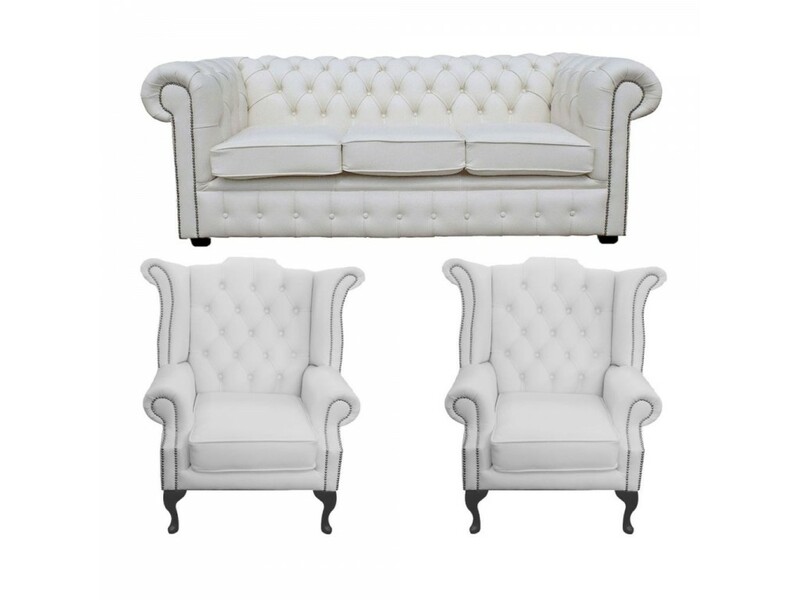 The Queen Anne Armchair has a high back winged chair which provides all the comfort and relaxation you need. 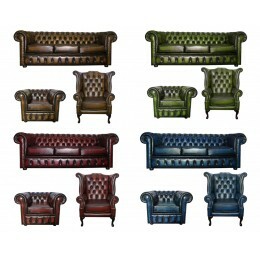 Available in six different colours: Antique Oxblood Red, Antique Brown, Antique Green, Antique Blue, Black Leather and White leather.